An extremely accurate and robust Vertical Milling Machine of massive cast iron construction to absorb the vibration and stress of milling. Capable of machining tough material with accuracy, the Mill may also be used for co-ordinate drilling. The machine has a 4000 rpm electronic variable speed control and positive non-slip toothed pulleys and belt drive. 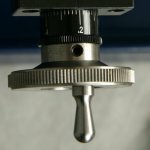 Each machine is individually hand fitted by an experienced engineer to exacting tolerances. All electrics are safely housed in the cast aluminium base unit. The V. Mill may be fixed down or used as a free standing unit if portability is required. The Headstock is of a massive iron casting and is aligned, fixed and dowelled in accurate alignment with the V. Mill table. 0.012mm (0.0005") over a table length of 180mm (7.0"). The headstock incorporates two 48mm diameter, precision, angular contact bearings. 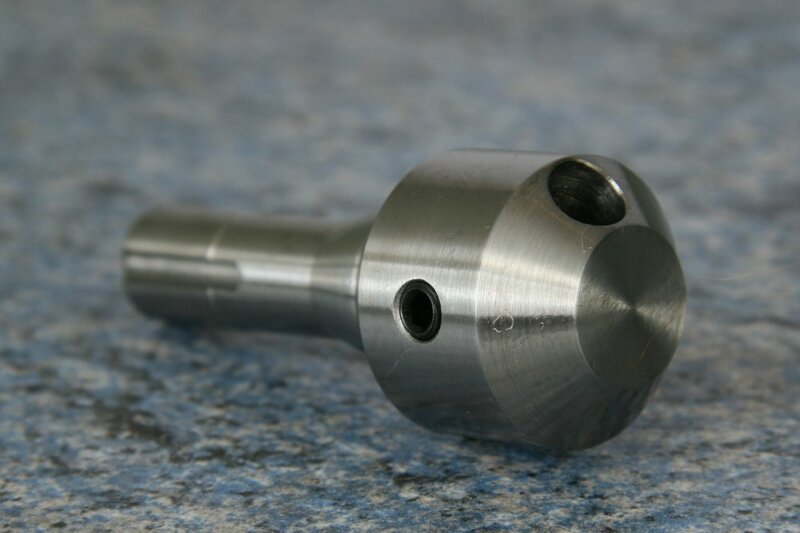 The headstock spindle is hardened and ground and carries a fine threaded adjuster nut for bearing pre-load and the elimination of spindle end-float. High tolerance bearing caps are fitted for the protection of the bearings. 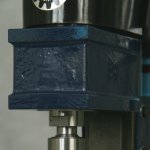 The headstock spindle has been designed to accept Cowells tooling (collets, flycutters, drill chucks and arbors. See the Vertical Mill accessory page). 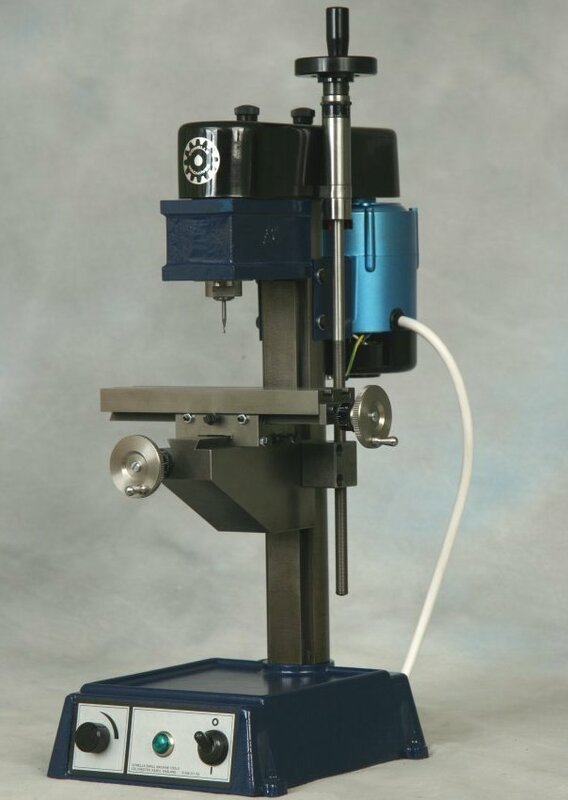 The headstock spindle has an internal engagement pin and tooling is secured in the precision ground mouth and bore of the spindle via a draw in bar supplied with the machine. All slide ways are dovetail in form and fitted with gib strips for the elimination of play and eventual wear. 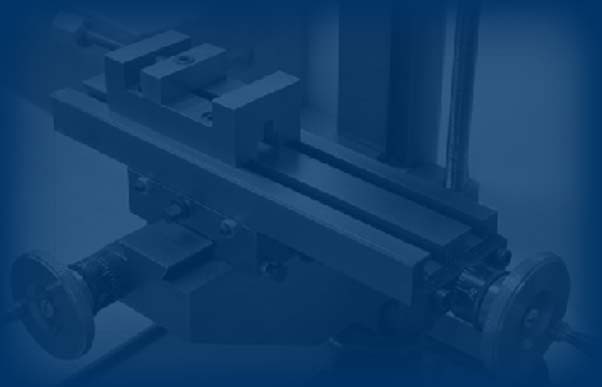 Clamping locks are also fitted so that each slide may be locked during the machining process thereby ensuring rigidity. The handwheels fitted to the table and cross slide are stainless steel. The large diameter handwheel fitted to the Vertical feedscrew is of a durable nylon with steel insert. All handwheels are fitted with very accurate computer laser etched, re-set to zero, calibration dials. The clearly marked dials are graduated in 50 increments of 0.02mm. The British manufactured Parvalux electric motor has a 4000 rpm. capability and a continuously rated output. Variable speed drive is provided through an electronic speed control board. Toothed pulleys are fitted to both motor and headstock and the toothed drive belt ensures positive non-slip drive. A quick release fibreglass guard shrouds pulleys and belt. The cast aluminium base unit houses the electronic speed control board and switchgear. The base is provided with four pre-drilled fixing lugs. The Vertical Mill can however be used as a free-standing unit should constant portability be required. Motor - Einphasen-Gleichstrom 220/240v, 50Hz, 4000 U/min 125 Watt.